Last night I performed the second round of ammo testing for my rifle. This article serves as a sequel to 'My First Rifle' which explains the purchase of my first rimfire rifle and the initial ammo testing I performed with it. This second round of testing was done in the same way as the first, except that I tested the ammo in reverse order (to make sure the lubricated SK Mag. I used first last time wasn't having any impact on subsequent rounds). I was also better prepared this time for the drop in height of the CCI Quiet rounds, so was able to test them properly. 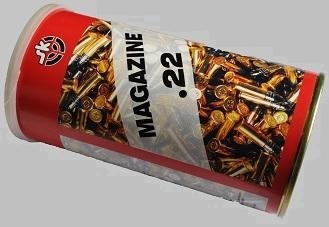 So it looks like I'll be sticking with the SK Magazine ammo!